Liver Health and Your Skin - Learn About the Link with your Beauty! The liver is one of the most integral parts of our bodies. It is responsible for many different functions that keep us happy and healthy. Amazingly, our skin is one of the first places that we are able to see issues with it on display. I encourage you to take a moment to learn just a little more about your liver to keep you in the best of health, and beautiful on the outside as well! Our livers are responsible for many important functions in our bodies. One of the most vital functions of liver health is the removal of impurities from the body. They are the “filter” for our bodies, removing the ammonia created by our colons, as well as alcohol and medicines. In addition to filtering our blood, the liver is the store house for fats, sugars, and minerals, as well as the place that fats are broken down. A diet that is too high in fats or sugars could result in an unhealthy liver, unable to properly filter our blood. The liver can be found responsible for many skin conditions. Many people know that an unhealthy liver can result in jaundice — the yellowing of the skin and eyes. Other symptoms that correspond with jaundice include constipation, thirst, or low appetite. In addition to jaundice, the liver can also be held responsible for eczema, psoriasis, acne, boils or rashes. The reason that the skin exhibits these symptoms when the liver is unhealthy is that it attempts to flush impurities through the skin, as opposed to filtering them. Avoid Alcohol. Alcohol can contribute to a condition called fatty liver. The liver is responsible for filtering blood through the body, so the less alcohol consumed, the healthier your liver will be. Avoid unnecessary medicines or pain killers. Again, since the liver is your body's filter, limiting any toxic exposures to your body will help your liver function at its optimum. Drink plenty of water, room temperature when possible. Cold water will cause the restriction of your stomach, making the digestion process more difficult. The easier you can make digestion, the easier it is for the liver to do its job. 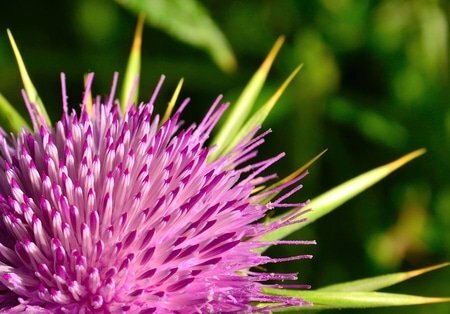 Try taking liver-supporting herbs internally like dandelion root, milk thistle, or yellow dock. Take care of your liver, and you'll not only feel great, but look great as well!